Contributes significantly to the advocacy work of the Canadian Infant Hearing Task Force (CIHTF). 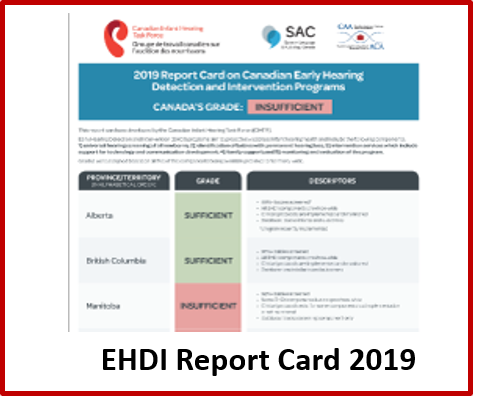 CIHTF has a multidisciplinary research and advocacy program aimed at making early hearing detection and intervention programs available across Canada. Participates in joint initiatives with federal health funding agencies to optimize funding of hearing health services and efficient processing of claims for consumers. Meets with Senators and both Federal and Provincial Members of Parliament to increase awareness of the impact of hearing loss. Supports regional projects to lobby for improvements in hearing health delivery. Participated in activities leading to Bill C-81, the Federal Accessibility Act. Works with the Canadian Hard of Hearing Association to connect with consumers. Participated in the work to build national standards leading towards entry to practise exams for Canadian and International Audiologists to practise across Canada. Places articles and advertising about Audiology and hearing health in national publications distributed to millions of Canadians through digital and print media. Interviews on national and local TV plus daily social media posts. We field many queries through our Website and Journal and connect people to service providers. The FindAnAudiolgist.ca is a member-only benefit to connect the public with Audiologists. Audiology 101 is a member-only PPT presentation for Audiologists in teach Family Practitioners and others about Hearing Health and Audiology services. CAA members receive significant discounts on registration for our internationally acclaimed CAA Conference and Exhibition. CAA members have free access to webinars with international & Canadian speakers. Members have free access to a blog and special articles of interest to Audiologists. Guidelines, Scoping articles and position papers are available on our website. 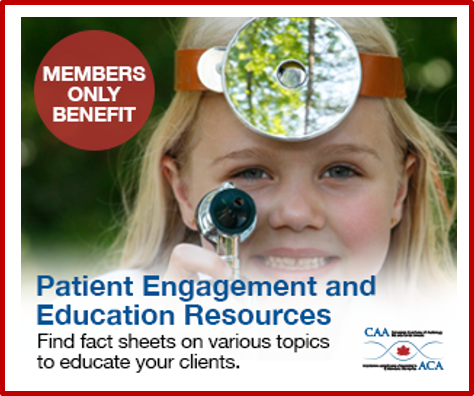 CAA membership supports the Canadian Audiologist journal, the most read online audiology journal in Canada. Posts to our newsletter, website and social media keep our community up to date. CAA encourages the growth of our profession by supporting audiology students and early career practitioners. CAA facilitates career mobility by providing an active career board and introducing members to leaders in the profession. Exclusive to CAA members, the liability insurance plans have no administration fees, and include greater limits of liability and enhanced products. Liability insurance details here. MEMBERSHIP FEES are less than other national associations. The Audiologist’s Marketing Toolkit provides an overview of basic marketing principles and ideas relevant to clinical audiologists. Videos, slide shows and posters are available for Audiologists to promote hearing health in their community activities. If you join CAA in the month of February, it will be valid for March 1, 2019 – Feb 28, 2020 year.